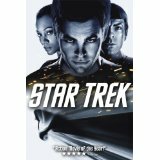 Amazon (Electronica Direct) has a 2 Disc Star Trek [DVD] (2009) Sale, $2.99, Free Shipping $35 or with Prime. Lowest price around. Rated 4.3 out of 5 on Amazon.